We all remember going to reading group when we were kids. Small group instruction is an important part of our reading time. But do you remember what you were doing when the other kids were at the reading table? It was probably working on worksheets. Sometimes we do worksheets too, but most of our seatwork time is spent practicing the Daily 5. Research shows that the way to become a better reader is to READ! So we spend our seatwork time either reading to ourselves, listening to reading, reading to someone else, doing word work (which would include vocabulary and spelling) or working on writing. That's the Daily 5! 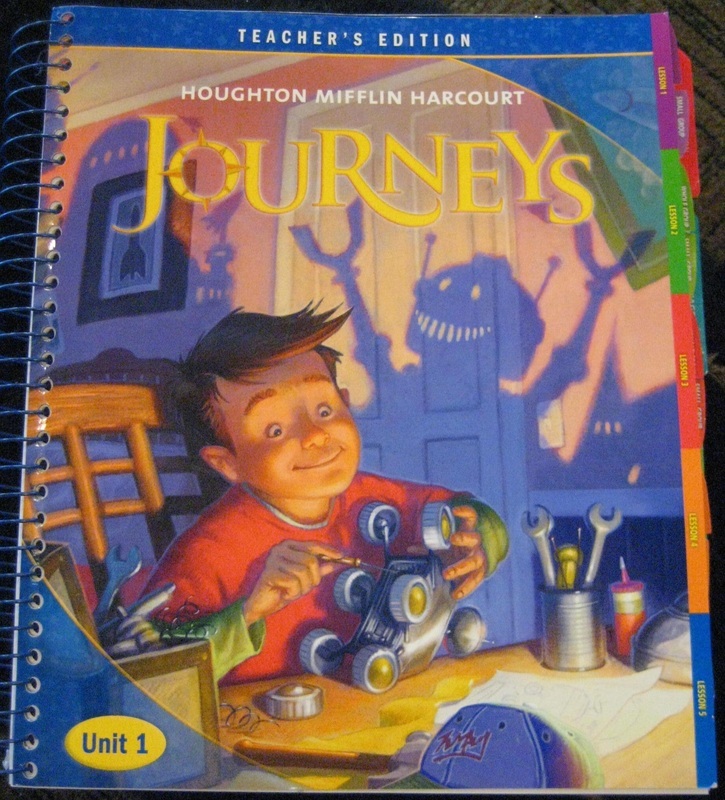 Our reading book is called Journeys and it is published by Houghton Mifflin, the same publisher that published our previous Houghton Mifflin Reading. This book is divided into units. Unit 1 is called "Reaching Out", and the big idea is that Helping Brings Out the Best in Us. That seems like a very good way to begin the year. Each week we will have a main story that we read together. Each story also has small readers that go with it. We will use those small readers, but we will also spend a lot of our time reading both fiction and non-fiction books. We have a large classroom library. We will also check out books from the Heartland AEA11 Library and from the Phillips Library. Houghton Mifflin has a great website where kids can learn and have fun. Check out Eduplace for Kids. We read some great books in fourth grade. Are you trying to figure out what to read next? Have you read any good books this summer? Write about one of the books you have read. What was the title? Who was the author? Tell a little bit about the most important characters. Write about some of the most important events, but don't give away the ending. Would you recommend this book to a friend? How would you rate it on a scale of 1 to 10, with 10 being the best book you ever read? Read about author, Jerry Spinelli by visiting his official website. Click below. You can write a book review by writing it on paper, or you can fill out the form by clicking on the link below. I would like to hear about the books you have been reading.